Today there was snow in Belgium, and not just a little! About 5 to 10 cm. First we weren't happy about it. But then we went to a big parc with school and we had so much fun, like little kids! We didn't took a picture of the parc, but it was really beautiful with the snow. So we are sorry about that :(. But we took some other pictures when we had fun, as you can see. When we went back to school, you could see that we had too much fun! We were tired and cold. 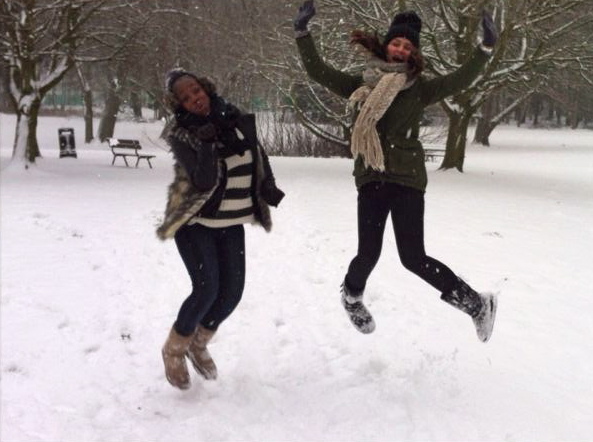 And then we had a few lessons, boring... All we want to say is, snow, don't go away, we really love you!